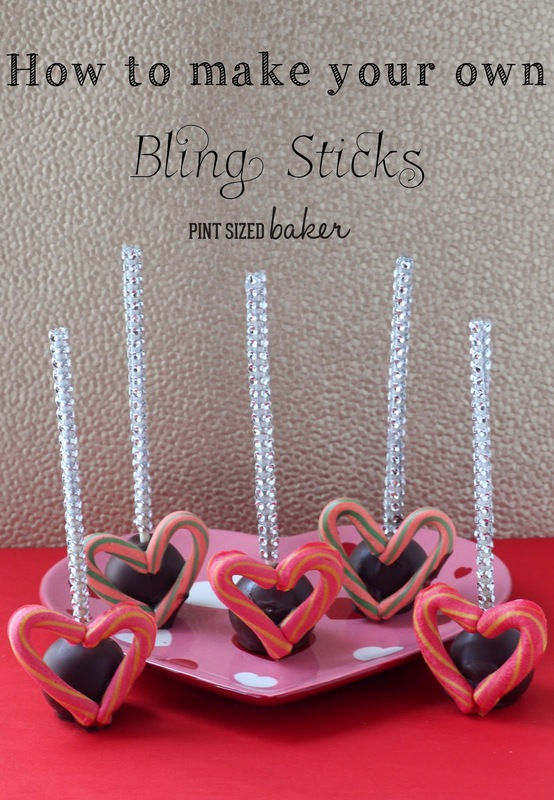 I LOVE, LOVE, LOVE the look of the Bling Sticks! 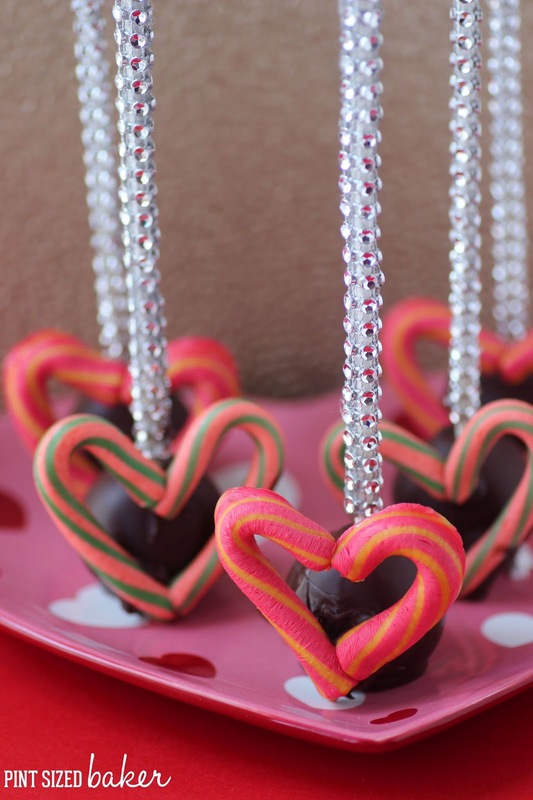 I think that they really add a lot of class and style to the cake pops and can totally make a huge impression at a party or wedding. You can special order them in all different colors to match your event. I love all the sticks from fellow cake poppers, Adri and Nicole, from Maski Pops. They have all different designs and new fun sticks. You should check them out. However… the only downside for a cheap-o like me is that they are not cheap. I, on the other hand, am all for saving a buck! So, if you’d like to make your own at home, here’s how I have made them. 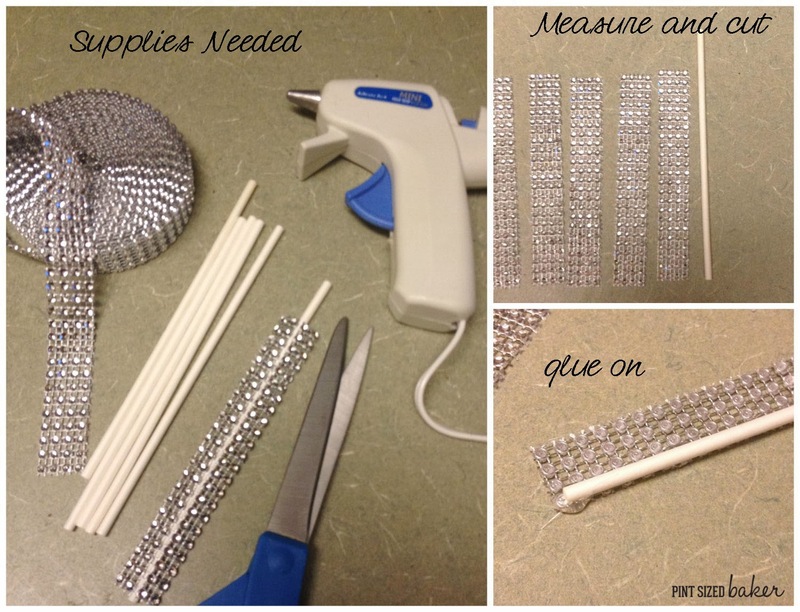 Cut the rhinestone ribbons to length. I left a 1.5 inch area for my cake pop to go. Add a line of glue along the length of the stick and adhere the ribbon. Wrap the ribbon around and secure with a few dabs of glue as needed. Yes, I ended up gluing my fingers together a few times, but the good thing with hot glue is that it’s not crazy glue. It comes off of the counter and your fingers pretty easily. 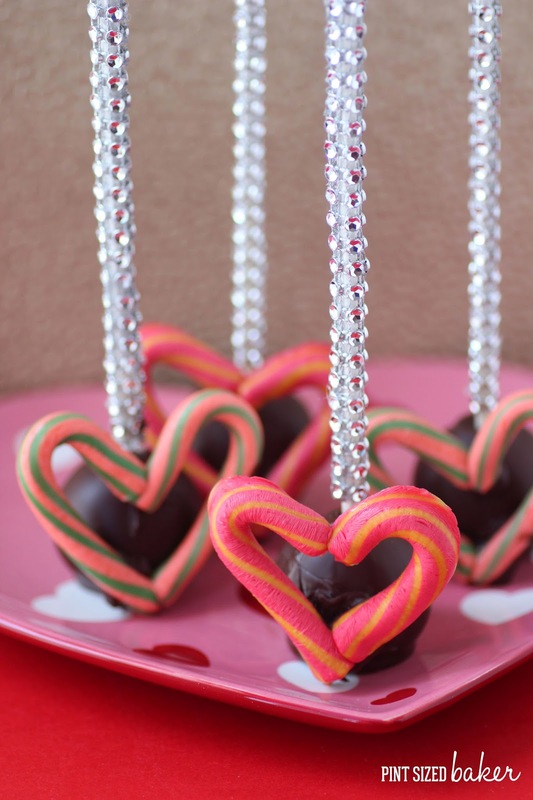 To make these fun Cake Pops, place some mini candy canes in a 200 deg F oven for 3- 5 minutes to soften them up. Press the edges together to help them stick together. 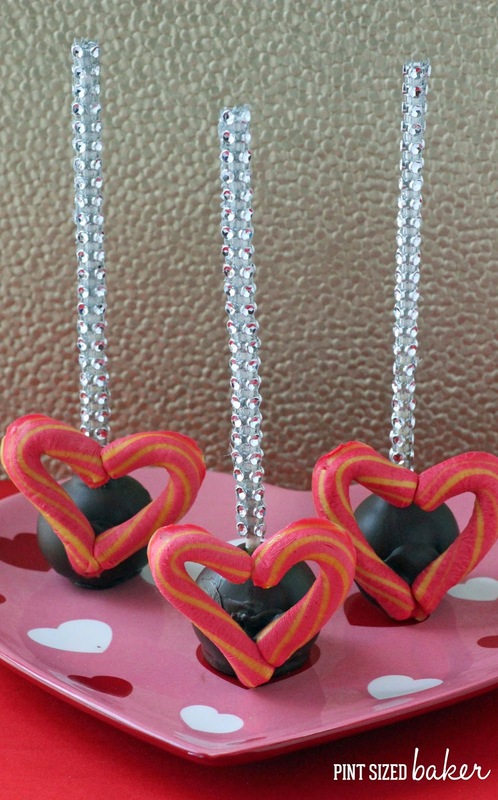 Once your cake pops are dipped, just add the little hearts. Everyone was impressed with the sticks. People even asked if I wanted them back… hahah!